LAPG AGM 2017 with Rupa Huq MP for Acton and Ealing Central.Founded in 1940 by six peace activists including George Lansbury MP, Labour Action for Peace (LAP) has been active in promoting peace, opposing war and working inside the Labour Party and wider labour movement to keep peace and disarmament issues to the forefront of Labour’s policies. LAP has been supported by other high profile peace activists in the past including Tony Benn MP, Dame Sybil Thorndike, Ron Huzzard, Frank Allaun MP, Lord Fenner Brockway, Tam Dalyell, Stan Newens and Robin Cook. 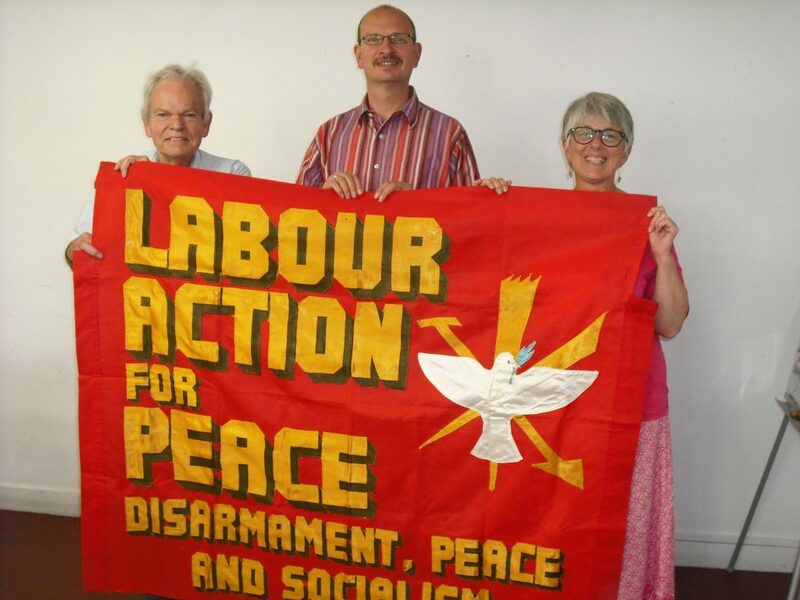 LAP’s successes have been numerous, such as sponsoring the first Early Day Motion to oppose Trident in 1980; highlighting the importance of liaising with China in the early 1980s; and keeping the issue of disarmament and the arms race on the table. LAP AGM 2017 on 2nd September at the YMCA Indian in London with LAP members and one of our speakers Rupa Huq MP for Ealing Central and Acton.